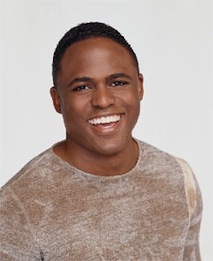 They've got games: Wayne Brady on Fox and Drew Carey on CBS. ***Second verse, same as the first. Fox will be replicating NBC's previously announced The Singing Bee with Don't Forget the Lyrics! The Wayne Brady-hosted big-money game show will premiere on July 11, at least three months before NBC's competition is scheduled to begin with a host yet to be named. NBC: "A variety-competition show that challenges contestants to accurately sing the lyrics to popular songs -- even when the band stops playing. In this karaoke showdown, there's no middle ground for partially correct answers -- contestants must be perfect or they're out." Fox: "Can you sing the next verse? We all think we know the words to the world's most popular songs, but when there's a million dollars at stake, will contestants be able to keep singing when the music stops? Or will they be at a loss for words?" NBC and Fox have tangled before in the arena of reality copycats. In November 2004, Fox irked the Peacock by premiering the Oscar De La Hoya-fronted Next Great Champ as a preemptive strike against NBC's previously announced The Contender, which didn't start until March 2005. Neither show was a ratings knockout, but Contender eventually went another round on ESPN without frontman Sylvester Stallone. ***Another comedian goes the game show host route when Drew Carey welcomes contestants to CBS' Power of 10. A potential $10 million payday -- don't count on it -- awaits anyone who "can most accurately predict the American public's response to intriguing poll questions." The first correct answer is worth $10,000, with sums increasing 10 times in value with each winning response. Sample question from CBS: "How many Americans believe they are smarter than president George W. Bush?" It all begins on Aug. 7th. ***TNT's third season premiere of The Closer opened really big and set another advertiser-supported cable network ratings record. The Kyra Sedgwick crime drama drew 8.8 million viewers, surpassing the 8.3 million who watched the show's second season premiere. TNT's new Heartland medical drama, which followed The Closer, held on to roughly half the audience with 4.3 million viewers. In contrast, HBO's new and perplexing John From Cincinnati had a another rough Sunday night. Episode 2 dropped to 1.2 million viewers after the drama's premiere drew 3.4 million viewers following the June 10th series finale of The Sopranos and its 11.9 million viewers. HBO's first episode of Flight of the Conchords also had 1.2 million viewers while a preceding new season of Entourage kicked off with 2.2 million. Lifetime's new Army Wives, competing against the HBO comedies, had 3.8 million viewers Sunday night for its third episode. ***Soap-aholics rejoice. Beginning Wednesday (July 20th) at 5 p.m. central, CBS.com will be streaming the same day's complete episodes of The Young and the Restless, As the World Turns and Guiding Light. They'll remain available for one week.